Some things just seem destined for each other. 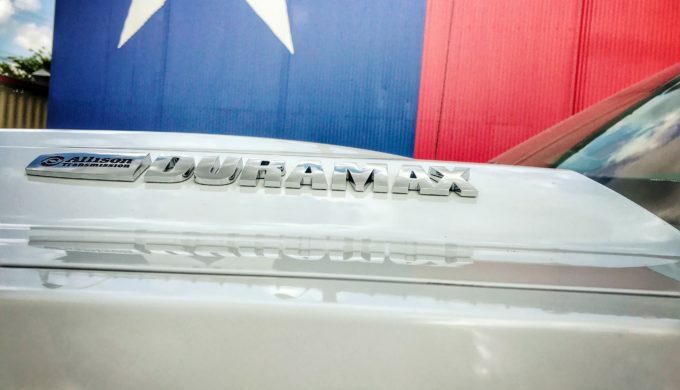 Such as Texas and celebrated histories, mouth-watering brisket and smoke, and Chevrolet and epic road trips. Combine these prodigious pairs, and you have the makings for an unforgettable Hill Country weekend. 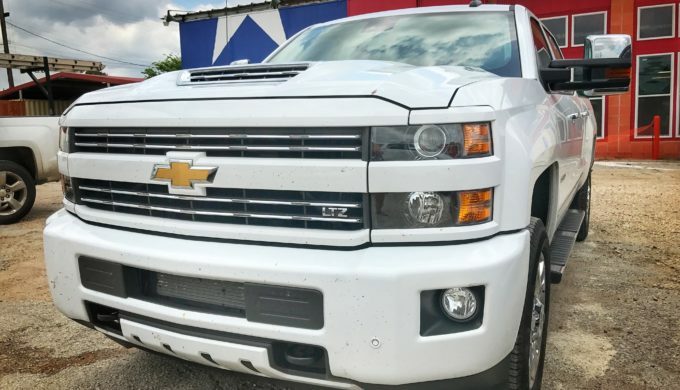 So when Chevy provided TexasHillCountry.com with the opportunity to put you in the passenger seat for an authentic Hill Country BBQ road trip, we were more than happy to oblige. From the chic lobby of Kimpton’s Hotel Van Zandt, we kicked off the Texas Hill Country BBQ Road Trip. While waiting for valet, the Chevy Fleet Team revealed the road trip itinerary and the state-of-the-art features available in our rides. 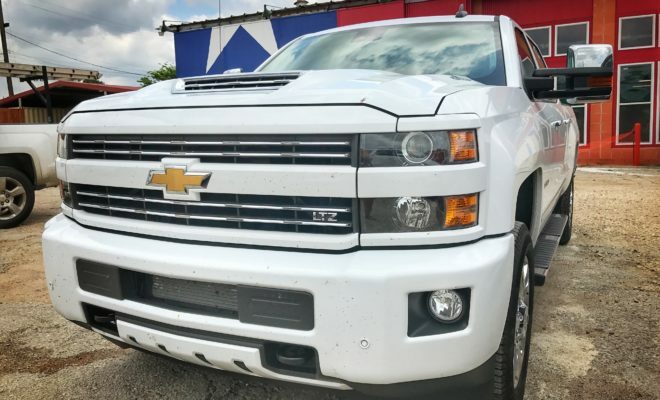 Using the MyChevrolet Mobile App, I sent the first destination to my 2017 Chevrolet Silverado 2500 HD Diesel’s navigational system as it pulled up. The radio automatically connected to my phone via MyLink connectivity, displaying my playlist on the eight-inch color touchscreen radio. Classic Texas Country music rang out from Bose speakers as we pulled out onto Red River Street. Once leaving the traffic and congestion of Austin, fields of lush young corn opened up as we turned onto US-290. The onboard 4G LTE Wi-Fi made it easy to brush up on the history of Louie Mueller Barbecue and browse the menu during the 40-minute drive to Taylor, Texas. 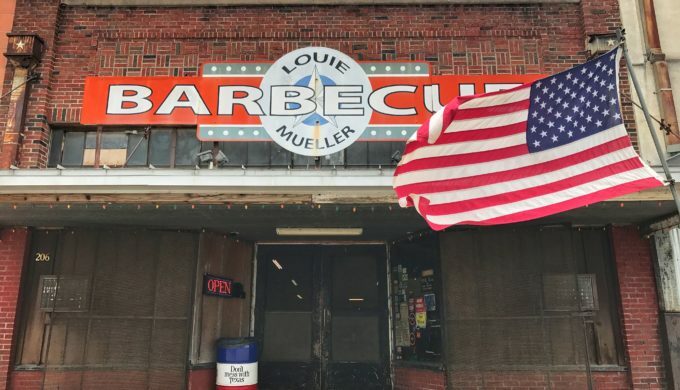 Louie Mueller Barbecue has been a family tradition since 1949 and has been hailed as the Best BBQ in Texas by Bon Appétit, Food Network, and The New York Times. Since Texas Monthly’s first annual “Best List” debuted in 1973, Louie Mueller’s has ranked #1 (occasionally #2) in every issue. They are also the only BBQ joint ever awarded the James Beard Foundation’s “American Classics” Award. And we were getting an all-access pass! ← Previous Story Bugs for Breakfast?